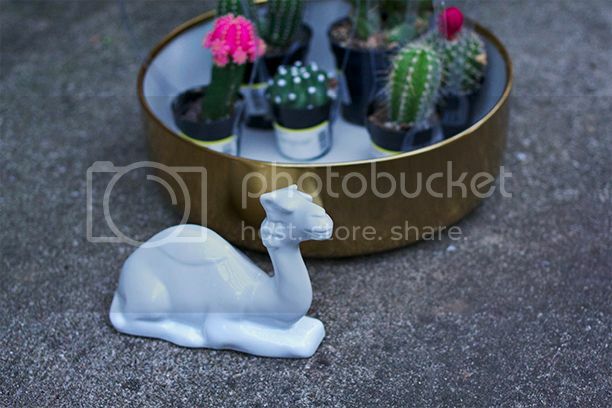 Although it should be pretty well understood at this point that I love cats (like, a lot), it should also be known that I am really into camels. Ever since I visited Israel and Jordan last year as part of completing my master’s degree, I’ve been a little obsessed with the humpty-dumpty shaped animals. 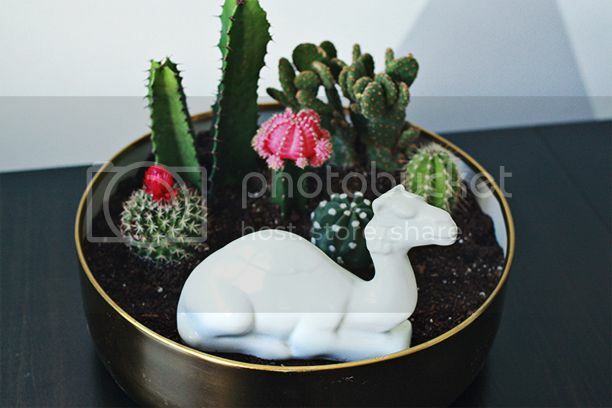 I saw a bunch of camel themed collectables when I was over in the Middle East, but I was already buying so much other stuff that I decided I couldn’t afford all the camels I wanted too. 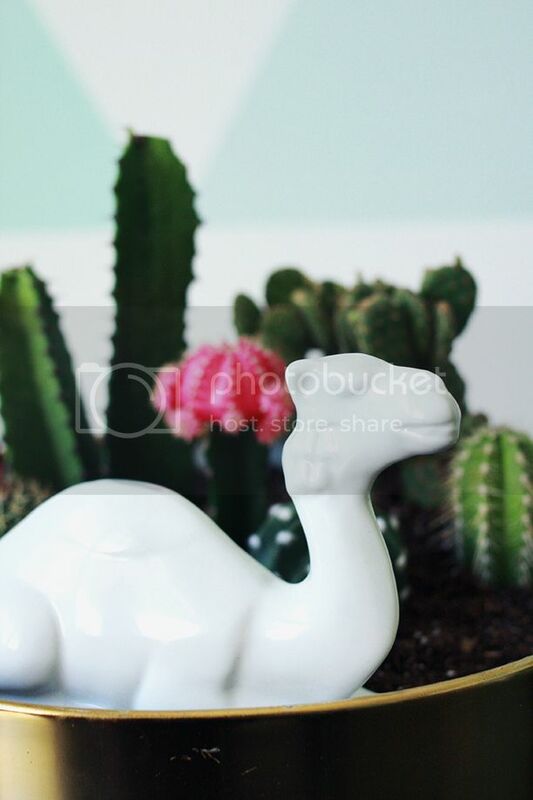 Weirdly enough, I was vintage shopping in Springfield a few months ago, and saw this little white camel on a shelf. “Hmm,” I thought, “he looks just like those white camels I liked in Jerusalem.” I looked to see what was stamped underneath the figure, and, sure enough, it was the exact same one I had almost bought in Israel and it just happened to make it’s way to Springfield just for me. So crazy. 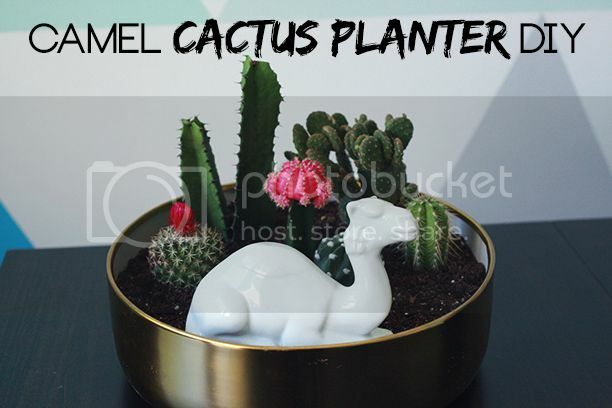 I thought that Bruce (I name all my camels Bruce) would feel most at home among cacti, so I used a gold Target bowl to make a cacti planter where he could live and hum the “Lawrence of Arabia” theme song to himself. Categories: HCYMT? 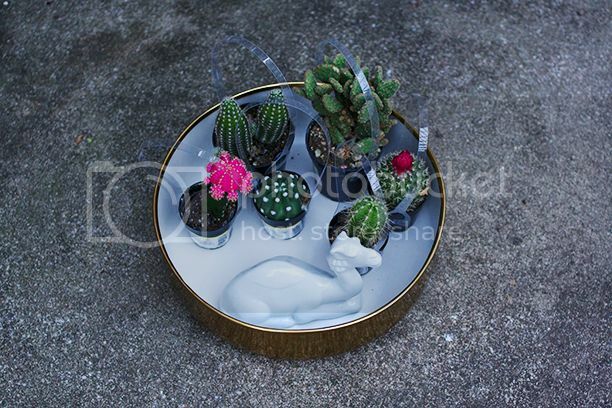 | Tags: cactus planter, camel | August 7, 2013 by thebandwifeblog. That’s so cute ! It’s a really good idea. Maybe I would do the same but in France. So cute! I’ve been meaning to do this for some time. After reading your post, it’s made it to my written to-do list! Aww, this is soo cute – I love camels!! What did you do your master’s in so that you could travel to Israel and Jordan? I’m intrigued! Bruce looks fabulous nestled among the cactus. I’m now intrigued as to how many camel’s you have? I have a thing for giraffes. I guess you could say that are like long necked camels but that might be a bit of a stretch. I would LOVE to go to Israel. I think it’s really neat learning what other people studied in school. It’s so often got nothing to do with what they’re doing now. I like that. What an awesome coincidence. He looks really good in the gold bowl. Cute cute cute! I recently have bought my first plant ever! 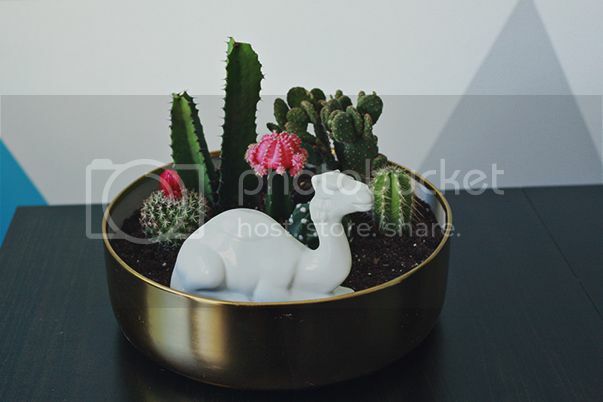 It’s a little concrete planter with mini succulents in it. Speaking of my plant, I better go water it.. haha. so cute!!! just curious, what is your masters? Where is the gold bowl from? 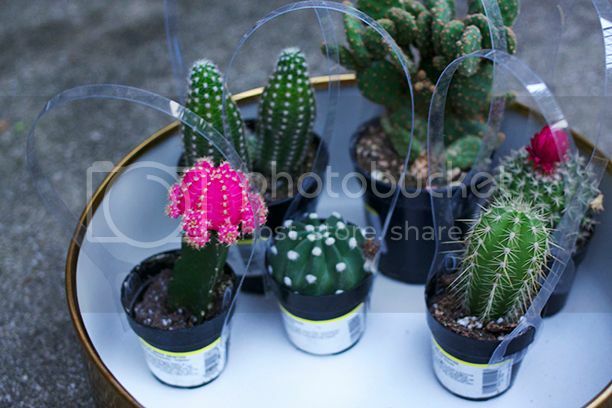 where did you get your cacti?